Washington’s Birthday is a federal holiday in the United States celebrated on the third Monday of February. Colloquially, it is also widely referred to as Presidents’ Day and is often an occasion to honor all presidents of the United States, including the incumbent one. George Washington was born on February 11, 1732 (Old Style). Since the British Empire switched to the Gregorian calendar, his birthday has been generally recognized as February 22, 1732. The federal holiday honoring the first U.S. president was originally established in 1879 for government offices in Washington. In 1885, it was expanded to include all federal offices. It was celebrated on February 22, the “New Style” date of Washington’s birth. In 1971, the date of the holiday was changed to the third Monday of February under the Uniform Monday Holiday Act designed to increase the number of three-day weekends. 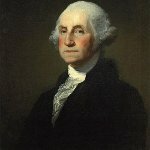 Since then, Washington’s Birthday has never occurred on Washington’s actual birthday because the Act places it between February 15 and 21. The first attempt to create a Presidents’ Day honoring the office of presidency was made in 1951, but it eventually fell through. By the mid-1980s, the term “Presidents’ Day” was used to refer to Washington’s Birthday. Today, different variations of the name are used in different states. The names using “president” may be spelled “Presidents’ Day”, “President’s Day”, or “Presidents Day”. Presidents’ Day may or may not be an all-inclusive term referring to all U.S. presidents. Depending on the state, the holiday might officially celebrate George Washington alone, Washington and Abraham Lincoln (who was born on February 12), or Washington and Thomas Jefferson (whose birthday is April 13). Before Washington’s Birthday was moved to the third Monday of February, corporate businesses generally closed on February 22. Since the move, most corporate businesses have chosen to remain open. Federal and state government offices are closed for the day, as well as most public elementary and secondary schools (some schools may close for a week-long mid-winter recess). Class schedules at colleges and universities vary depending on the school. Community celebrations also vary depending on the state. The largest one is held in Alexandria, Virginia. George Washington’s hometown hosts a month-long celebration that includes the nation’s largest Washington’s Birthday parade. The city of Eustis, Florida has hosted the annual GeorgeFest since 1902. Special celebrations are held at the George Washington Birthplace National Monument and Mount Vernon. A food traditionally associated with the celebration of Washington’s Birthday is cherry pie because of the so-called cherry tree myth. According to the best-known legend about George Washington, the six-year-old Washington damaged a cherry tree. When asked by his father about the accident, he replied, “I cannot tell a lie; I cut it with my little hatchet.” Instead of punishing his son for cutting the tree, Washington’s father praised his honesty.